Need help getting ready for race-day? 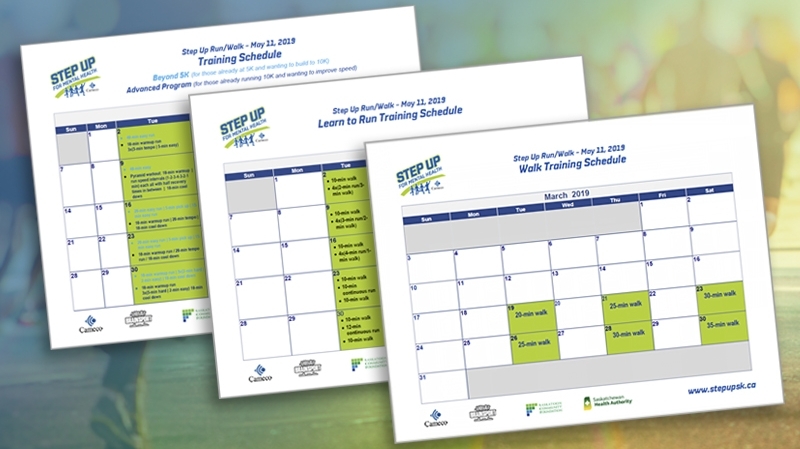 Each Thursday, leading up to race-day on May 11th, CTV Saskatoon will broadcast Step Up Training Tips to help registrants prepare for the event. Watch CTV Saskatoon's Morning Live and News at Noon to catch each week's edition. Learn to prevent injuries with the proper running form. CTV's Mike Ciona gets some tips on proper running form from Jen Kripki of innerstrengthfitness.ca. Have you lost focus on your training goals? Jen Kripki, of innerstrengthfitness.ca, gives CTV's Mike Ciona some tips to help get back on track when it comes to running. Choosing the right shoe for the job - Brian Michasiw from BrainSport talks about the best shoe and the best fit. Jen Kripki, innerstrengthfitness.ca, talks about the importance of starting your Step Up training slowly to build toward the May 11th race-day. In this first instalment, watch Brian Michasiw from BrainSport, one the Step Up partners, talk about the campaign.